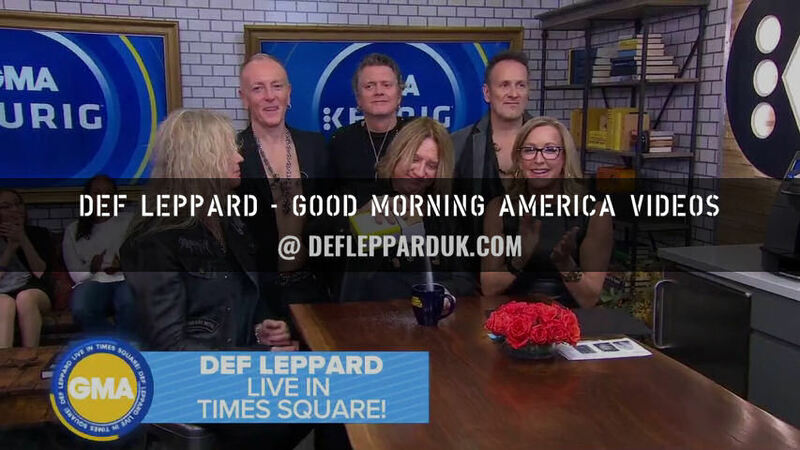 Def Leppard perform live on Good Morning America this morning to promote the Rock And Roll Hall Of Fame Induction. The appearance took place earlier today at 8am New York time in ABC TV's New York Studios. 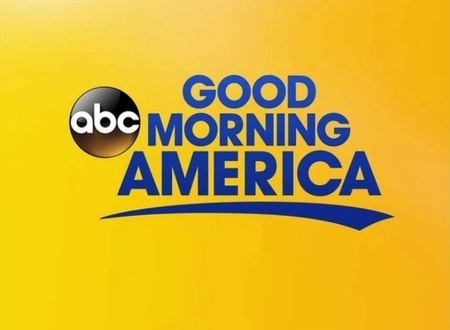 The show was hosted by Robin Roberts, George Stephanopoulos and Michael Strahan. 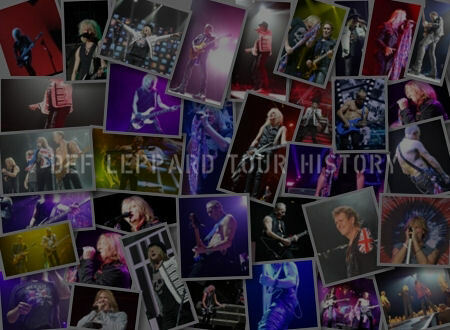 They also performed a heavily edited version of 'Pour Some Sugar On Me' live at the studios in Times Square. 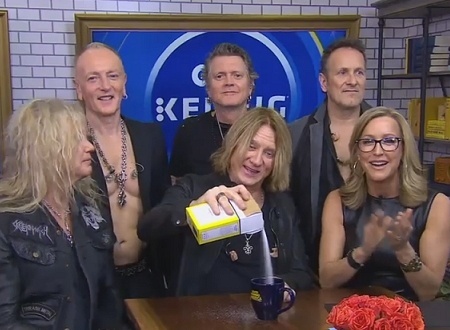 They talked to Lara Spencer about the Rock And Roll Hall Of Fame and the Hits Vegas Sin City Residency in a very short one minute interview. Watch the interview below along with the full performance. The band had previously been listed to appear on the show in 2016 but had to cancel due to Joe's vocal issues. Other guests on this show were Gary Cole, Kevin Dunn and Sam Richardson. 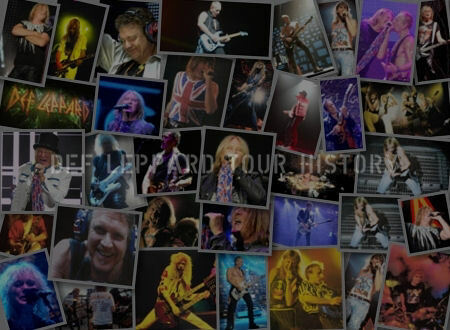 Congratulations guys being inducted into the Rock And Roll Hall of Fame. How does that feel Joe? Joe - "It was wonderful. It was the biggest fan vote of all time apparently. So, you know, for the kids it meant so much. 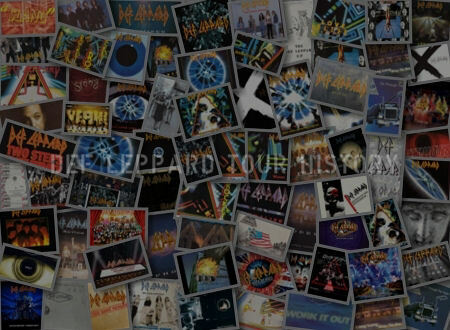 So it means a lot more to us as well." "They could only have dreamed of that in 1981." Hits Vegas The Sin City Residency? "It's become kind of cool to do it. It was the Wayne Newton thing for a long time. 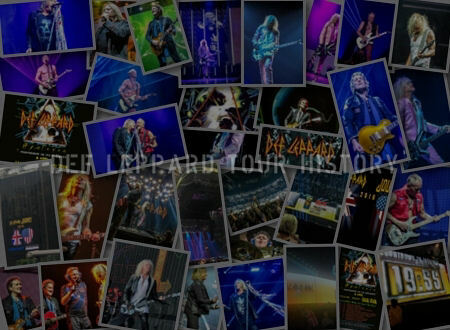 Prince did it, Aerosmith did it, The Who, Motley, Bon Jovi, us. This is our second on. It's cool and it's nice for those to come visit us. the fans come visit us and we get to sleep in the same bed for a month. Yeah we sleep in one giant bed."